Beautiful looking with my rattan furniture outside on deck! Also covers a huge area I needed! 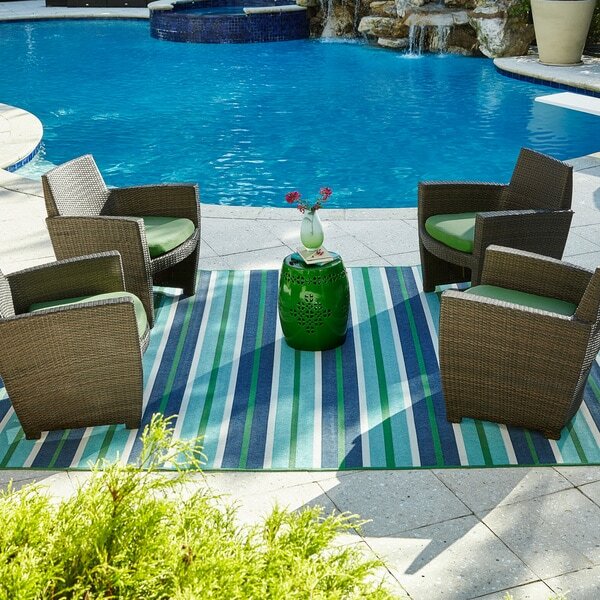 Breathe new life into any indoor or outdoor space with this vibrant and beautiful area rug. Boasting a simple on-trend geometric pattern this rug will give any area instant wow-factor. Dimensions 155.91 In. X 101.97 In. X 0.15 In. Beautiful colors and very soft! Love the way they look by our pool! Was able to fit 3 chairs on it! Vibrant colors even after two years. Love the colors. Exactly what I wanted.